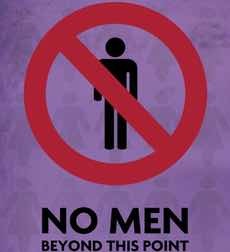 Alexander and William go out of bounds to talk about No Men Beyond This Point. Director-writer Mark Sawers's satirical movie looks at life in an alternate reality where men are obsolete. Also, we don't talk about the Oscars. IMDb links to the movies and TV shows mentioned in this episode are here: No Men Beyond This Point, The Office, Nirvana the Band the Show and Napoleon.